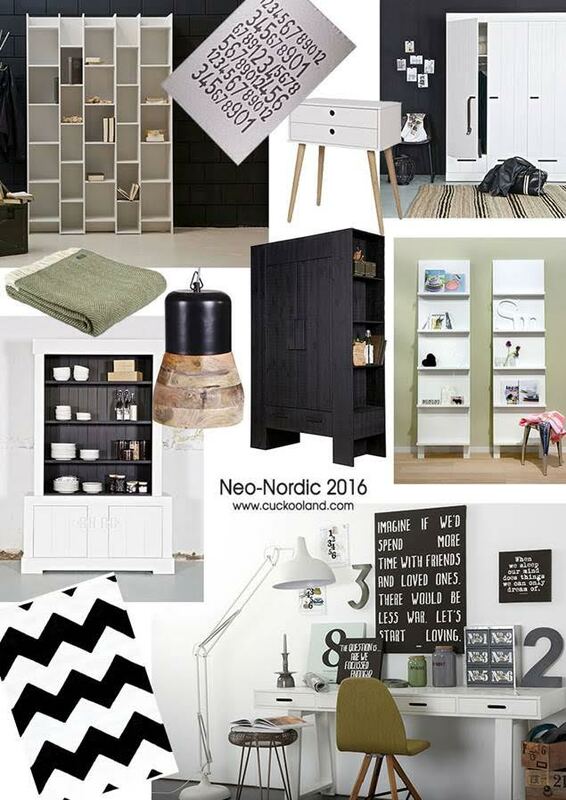 Cuckooland are excited to welcome the new Scandi furniture range from Woood to the UK for 2016! Netherlands-based Woood have over 35 years experience working with the best Dutch designers to create unique, affordable Nordic-style pieces from FSC® Mix responsibly sourced wood, such as this Contemporary 4 Drawer Writing Desk. Accessorized with chunky lettered wall art and chartreuse furnishings, it creates an on-trend Neo-Nordic look for the home office! The Hidde Cabinet is a perfect example of Woood’s ability to combine design and functionality into contemporary Scandi furniture. 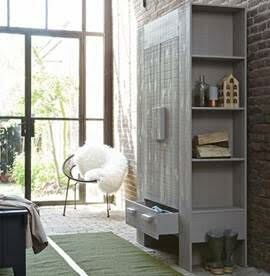 A Cupboard, Drawer and Bookshelf all-in-one, this stunning piece is the perfect storage solution for small spaces. Available in two colours, the warm Taupe Grey will make a neutral space feel more homely, especially when complemented with earthy olive accessories, whilst the Black version will support a more masculine, monochrome scheme. And they do lighting too! 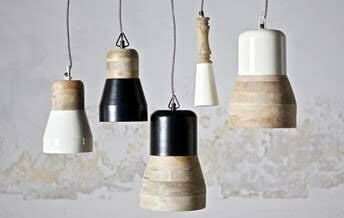 These stunning new pendant lamps in natural pale wood and black and white metal are an easy and effective way to bring a Scandi theme bang up-to-date for 2016. For more of Woood’s new Neo-Nordic furniture for 2016 please find our look book below, or view the range on our site here. Here at Cuckooland we specialise is truly unique pieces of furniture and fabulous home interior ideas. Browse our incredible range of lifestyle furniture right here, and turn your home into a beautiful and original display of style and substance.